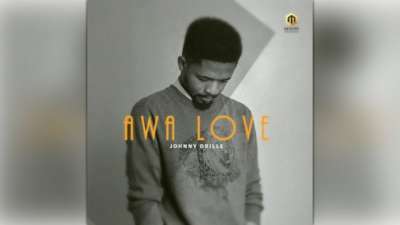 Johnny Drille – Awa Love“Johnny Drille – Awa Love [New Song]”, 5 out of 5 based on 1 ratings. ths is the music we want. This guy is just too good and excessively mature for the Nigerian music industry.## what a talent we’re blessed with ##…..proud to be your fan. 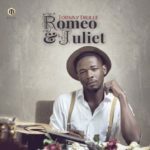 Dope song, dope artiste, dope Johnny. keep it up man. This is the song of the moment, really great! Been feeling down all evening until I heard this music. Every atom of my body bounced to it. You rock Jonny. Lovely i respect the music and the siger too but more respect to your boss Don jazzy. 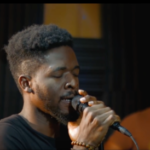 Wow, Nigerian artist will go worldwide if others sing like this young man, this is music ? 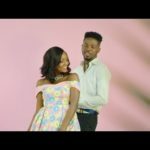 Thank you Johnny Drille. I love what you do with alternative and pidgin English. I’ve always known this guy would go far right from project fame. Thank you Johnny for being unique & perfect. Thank iu for delivering sweet, good & mature music. God bless you bountifully. Please don’t change. Instead, get better. I love you! He is a phenomenon. Amazing music. Only few people can sing good music like this in the industry. I love your music I hope you win a Grammy award someday. Keep flying Nigeria’s flag. This song is so awesome. I love this Guy. Great song. You r gona go places Johnny, but please don’t forget home. Keep shining you’re already prosper ?????? Johnny is my man anytime. One of the few vocalists out there. This is not the noise we hear regularly; this is music. One love man! Just heard this song on radio… I went straight to find n download it… Good one Johnny. Ur song tight badly bro. Oh my God…. I love the song…. It makes me remember my loved ones and the love of my life…. Keep it up… More inspiration…. if only words could express of how much i love ur music…trust me i will.i love u, i love ur voice, i love how you sing and most importantly i love ur talent!!! .its superb.God bless u drille.may he add more talents to ur life with long life and prosperity.keep up d good work.rise above hate with hustle loyalty and respect.NEVER GIVE UP!.Your enemies will burn in hell.you shall progress.halleyah to u mate!.thank you. if only words could express of how much i love ur music…trust me i will.i love u, i love ur voice, i love how you sing and most importantly i love ur talent!!! .its superb.God bless u drille.may he add more talents to ur life with long life and prosperity.keep up d good work.rise above hate with hustle loyalty and respect.NEVER GIVE UP!.Your enemies will burn in hell.you shall progress.halleyah to u mate!.thank you so much. I swear menh, Johnny u are nd insperition..I swear down..may God give yuh more songs.. I was drenched. Lor you, bro. 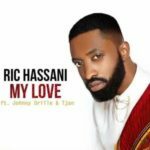 Am realy impresed nd excited wit ur musics, at any time i feel borin once i listend to ur melodious voice nd ur sweet music, no matter wat caused my agresive or pains i wil just overhelmed wit joy. Bro u'r blessed. Stay blessed. 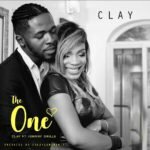 Am realy impresed nd excited wit ur musics, at anytime feel borin or sick once i listend to ur melodious voice nd ur cruchin music i wil b agile nd overhelmed wit joy. Bro u’re blessed. Remain blessed. D lord is ur strenght. Johnny is really the drill, nice music man. Thank u for the song sir.